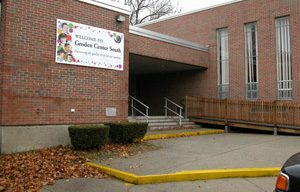 The Groden Center South in Coventry, R.I. was opened in 2007 to meet the increased need for services. Since opening its doors in 2007, Groden Center South has worked hard to enhance the lives of children and youth with autism, behavioral disorders, and developmental disabilities, and their families. The new facility has provided our students with the space and the tools they need to learn new things, train for careers, and get the most out out an enriching experience. We foster greater independence and inclusion through provision of intensive learning and living environments where our students can achieve a balance across all life skills. The Center is dedicated to understanding the developmental needs of its children and youth, investigating the most effective educational and treatment strategies, and contributing this information to the related fields. Groden Center South provide a broad range of individualized services in the most normal and least restrictive settings possible. Instruction is provided in functional skill development, communication, emotional and social development, physical and recreational skills, domestic responsibilities, community awareness, adaptive living skill and vocational education.